While this is a call for SMEs to take energy efficiency improvements more seriously, we understand the pressures they are under just to survive in a competitive marketplace. So, how do we start seriously addressing the potential, in our case, for improved energy efficiency? With many awareness efforts over the decades, we have yet to succeed to tap into much of that potential. So, let’s try a different approach. What we need are financial institutions, project developers, technology and service providers as well as energy agencies at all levels to increase their initiatives to promote improved energy efficiency in SMEs through their own channels. We would like to draw your attention to one “de-risking” tool that is being developed for industry, district energy and street lighting, after having successfully started for buildings. This is the Investor Confidence Project's Investor Ready Energy Efficiency™ (europe.eeperformance.org). This essentially sets a framework between the asset owner (in this case the SME), the project developer and the financial institution. This gap in the relationship between the three main stakeholders is real. What ICP does is provide a platform for these stakeholders to interact and gain confidence in each other. The SME can better understand the potential in its own facilities without the anxiousness. The project developer can take advantage of this standardized approach even if he or she is using instruments such as energy performance contracting. We are completing the preparation of protocols that are used in the process. The financial investor gains confidence in the entire process. This will undoubtedly lead to more supporting of energy conservation measures. How you can be part of the Investor Confidence Project solution? 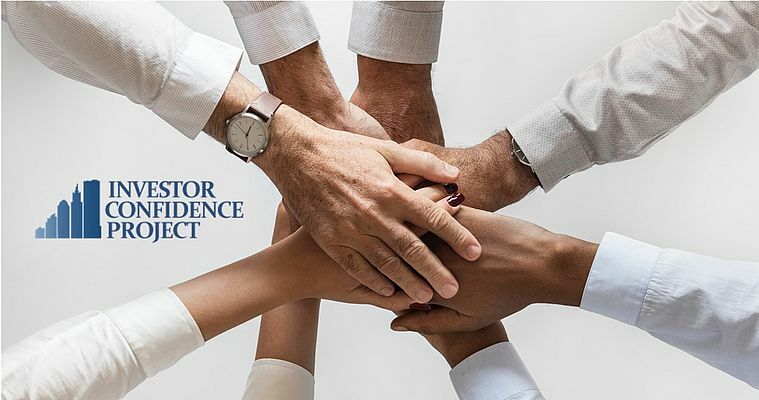 I have written extensively about the Investor Confidence Project and you can find out more by reading our Frequently Asked Questions industry at ee-ip.org, in the article section. What it takes for you to be part of the solution? First, we need financial institutions to join our Investor Network. Already we have many in the network, but for full market roll out we need more. Protocols have been developed for complex and targeted industrial energy efficiency projects. They are available at ee-ip.org, in the section dedicated to business practices. Either could be used for SMEs, depending on the level of ambition. The first training for project developers took place late April and the training is available on-line at eeperformance webpage. What it takes to be part of our Project Development Network is also available at eeperformance webpage. ICP Europe is now looking for potential pilot projects to test the approach. ICP Europe is also looking for more members of the Investors Network. Most SMEs need our help. Project developers play a key role in helping SMEs understand the potential for energy efficiency improvements and to undertake the necessary energy conservation measures. I’m reminded of the 1971 song by Carole King, You’ve Got a Friend. Remember, we all need a friend.